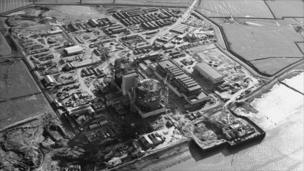 As one of the reactors is turned off at Oldbury nuclear power station, the BBC looks back at the history of the site. One of the reactors at Oldbury nuclear power station is to be turned off on Thursday after generating electricity since 1967. 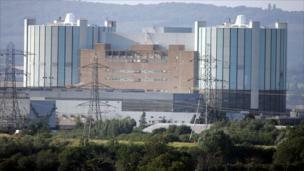 Reactor 2 at the plant, which is 15 miles north of Bristol, is due to be switched off just before midnight when the licence to operate it expires. 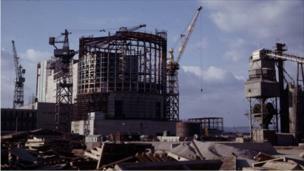 The entire plant, which was built between 1961 and 1967, was due to be switched off in 2008 but several stays of execution have kept it operating. 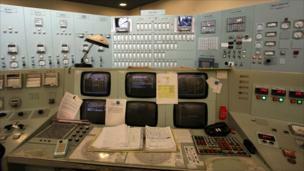 Reactor 1 will be switched off at the end of 2012. The power station has featured in several episodes of Blake's 7 and a Doctor Who story was filmed there during Tom Baker's reign as the Timelord. The power station, on the banks of the River Severn, generates enough electricity to power a city around one-and-a-half times bigger than Bristol. 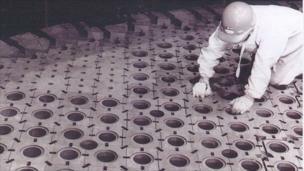 But it is not likely to be the end for nuclear power at the site. 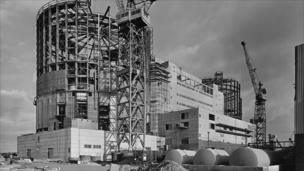 Last week the government announced that Oldbury was one of eight sites suitable for new power stations by 2025.